Summer in Berlin means many things for many people, but all ideas orbit around the same crucial idea: get and stay outside. From drinking at Maybachufer to open-air everything, Berlin transforms itself into a city operating on the idea that, since it’s warm, everything should be done outdoors. 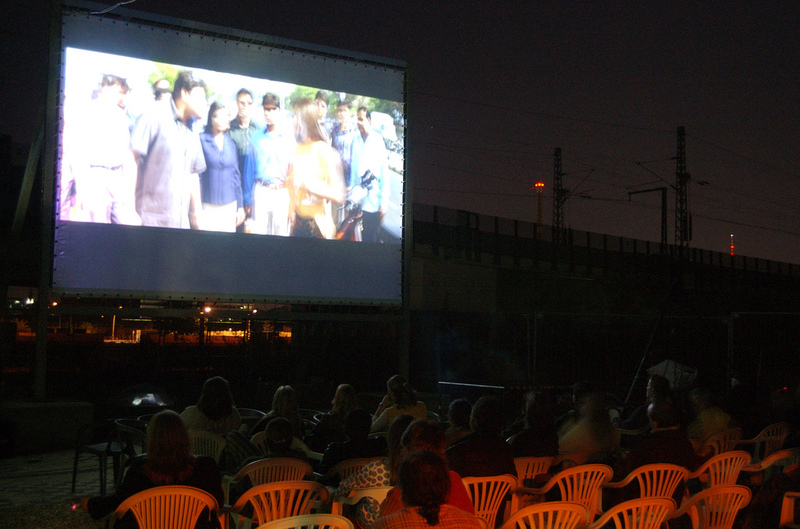 The idea of open-air events extends to the outdoor cinemas, or Freiluftkinos. There are many to choose from in the city, each serving up cinema in its respective pocket of the city. We’ve rounded them all up to help you stay outside this summer. 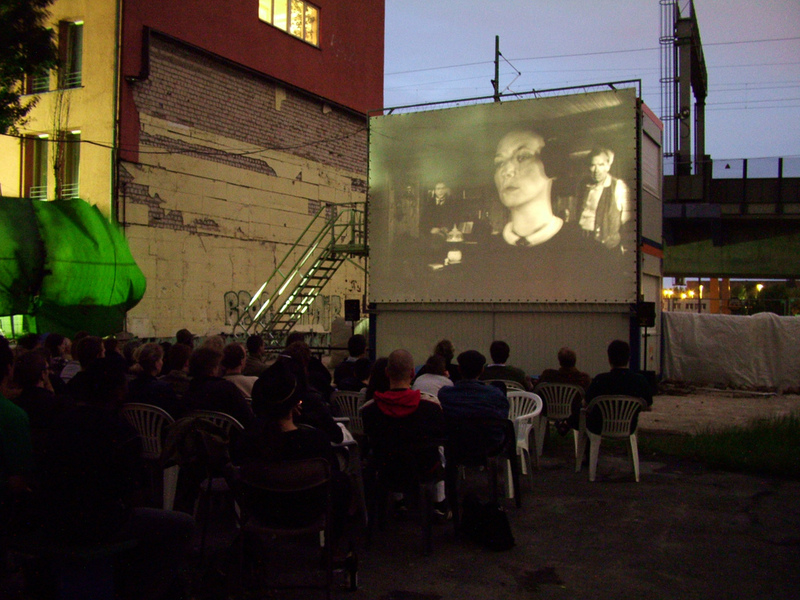 Like anyone needed another reason to go to Kreuzberg, from May to September Freiluftkino Kreuzberg plays open-air movies in the back of Kunstquartier Bethanien. Tucked away behind the building, just a stone’s throw from Mariannenplatz, a sizable screen and ample seats (plastic and lounge) are waiting to be filled with warm bodies. It’s been open since 1994, making it the oldest open-air cinema in Berlin. Since it came under new management in 2004 (equipped with a new snack bar), its popularity has really taken off. Showcasing movies from all over the globe, there’s a chance to see heaps of films in heaps of languages. This one in Friedrichshain claims to have ‘the most beautiful open-air cinema,’ and with 1,500 seats and a lush lawn at their disposal, they might not be wrong. Located in Volkspark, it most certainly has the space to present some epic flicks on the big screen. Bench-style seating keeps a type of viewing uniformity and for those who want to stretch out, bring a blanket and some snacks and spread out on their green. For those who don’t sprechen Deutsch, pay attention to their program list because movies are dubbed in German unless otherwise noted. This lovely outdoor Kino is humbly tucked away in Wedding. At night, the park feels all-encompassing and the only noise other than the film is the whistling of the trees. Those who know Wedding know how quiet it can be, which already makes it a great ‘hood to catch an outdoor flick. Rehberge adds another level of urban exclusion to the mix. Another heavy hitter with 1,500 seats arranged in a stadium setting makes it an excellent environment in which to indulge in the rolling of the reels. There’s a snack stand, but for the control freaks and the frugal, you can also bring your own. As usual, read the list carefully to see which of their various films are in English or German. Kultur Fabrik is already a titan on the cultural front. This once-upon-a-time factory now serves as a concert hall, music venue, art house theatre, and more. In the summer it hosts FREE and open-air movies in its courtyard on Fridays and Saturdays at 10pm. Typically in German, check their site or newsletter for their summer program. 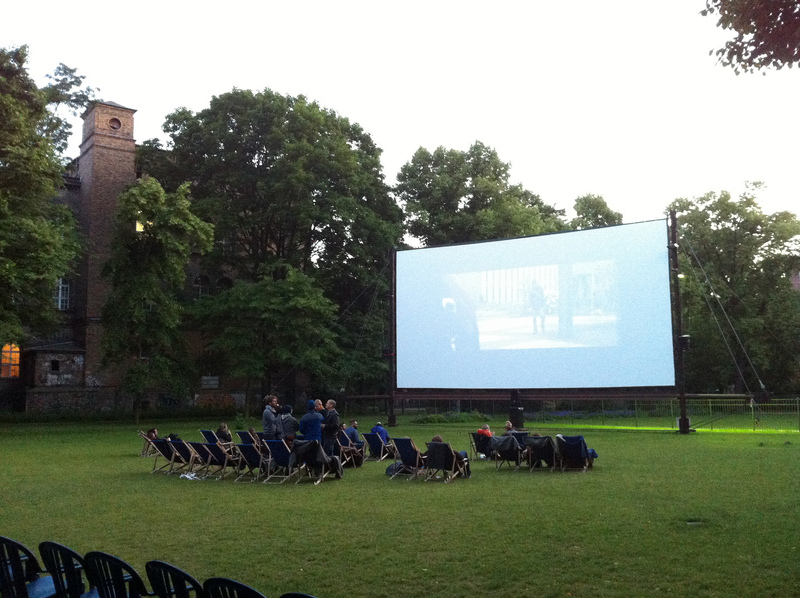 Starting a bit later in the season (July 1), the open-air cinema in Spandau is for those who want outdoor cinema with a little intimacy and romance. In the courtyard of the Municipal Library, it is nothing short of picturesque; this also accounts for the fact it only seats about 250. Blankets and pillows can be rented on the cheap, and there’s a whole slew of treats to help warm or cool the audience with everything from frozen treats to hearty soups. Films are done the old fashioned way here – think Cinema Paradiso – so there’s a 15 minute break for every film. Check their site for film listings and languages. Set in the heart of Berlin with an impressively metropolitan backdrop, those who visit Potsdamer Platz for an outdoor film can expect a view. Not as intimate as some of the others on the list, this is for those who want an opulent city view all lit up in the movie’s periphery. With over 1,000 lounge seats, this venue is set up to please the masses. 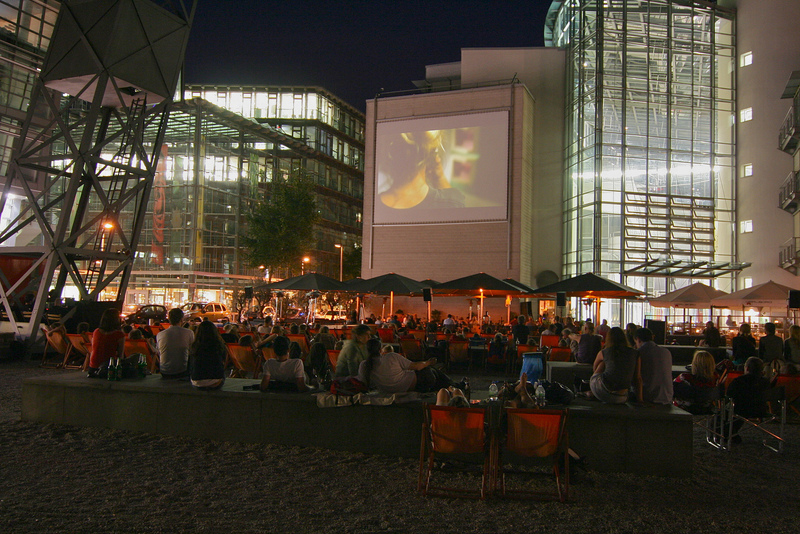 From indie films to blockbusters, the open-air cinema at the space next to the Kulturforum at Potsdamer Platz plays the original version of films with German subtitles. Cassiopeia is a beloved bar/concert space/club with a fantastic courtyard in which to relax in the summer. Rubbing elbows with Suicide Circus and other big wigs in the leisure night life world, it’s not a foreign name even to a neophyte Berliner. The courtyard INSEL has a bar, a place to grab grub, a rock-climbing wall and other accoutrements that make the homestead of Hook‘s ‘lost boys’ look amateurish. The seating is limited because of the venue’s size, which makes for a more cosy vibe. Blankets are available for the taking, and umbrellas are available for rent. Often showing movies in their original version with subtitles makes it a great spot for those who haven’t mastered Deutsch just yet. 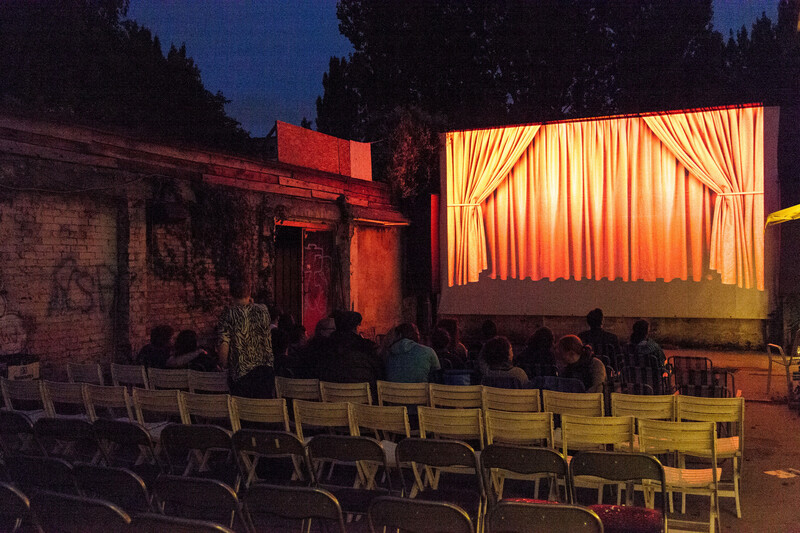 This open-air Kino in Neukölln is a favorite of the neighborhood. Its forest-enclosed location ensures privacy and an all-encompassing cinematic experience. Set in Hasenheide Park, its serenity offers the perfect backdrop for the choice selection of films on its sizable screen. The bench-style seating can be hard on the bum, so bring a blanket to soften the blow. Movie eats are available at the quaint snack bar. A truly charming open-air experience, Hasenheide is an alluring summertime location to catch a flick. A rotating selection of movies (mostly original version with subtitles) means mostly English films, but it’s always best to check their program if you’re monolingual.